While the fun and excitement of the first few weeks of school has slowed down a bit, I notice my energy to make a healthy breakfast slows down a bit too. With 3 of my 4 kids in school, sometimes the quick breakfast route is most convenient…but then again not the healthiest. I never thought of using Juicy Juice in simple breakfast recipes for the whole family until I found Meredith Sinclair’s Nutty Banana Strawberry Smoothie recipe. Not only was it super easy to make but it tasted amazing too. All in time for better breakfast month! 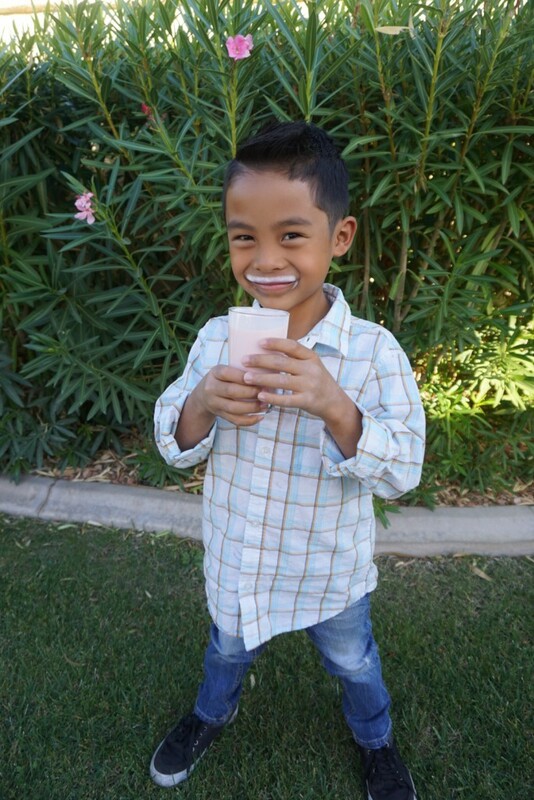 Juicy Juice has some easy, kid-friendly recipes on the website for inspiration. Also, if you are looking for more back to school tips, check out Juicy Juice Family Time Expert and author of “Well Played: The Ultimate Guide to Awakening Your Family’s Playful Spirit”, Meredith Sinclair’s video, where she shares her tips for making the back to school routine easier and more fun! This after-school snack is packed with satisfying peanut butter and fresh bananas. 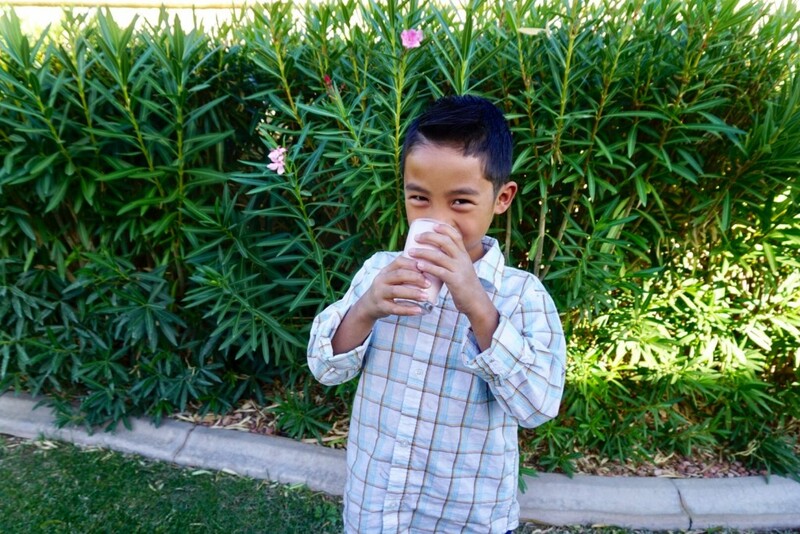 It only takes 5 minutes to score big with this nutritious, kid friendly blended drink. Combine bananas, Strawberry Banana Juicy Juice® 100% Juice, yogurt and peanut butter in a blender. Puree 30 to 60 seconds or until smooth. Divide between 2 tall glasses and serve immediately. 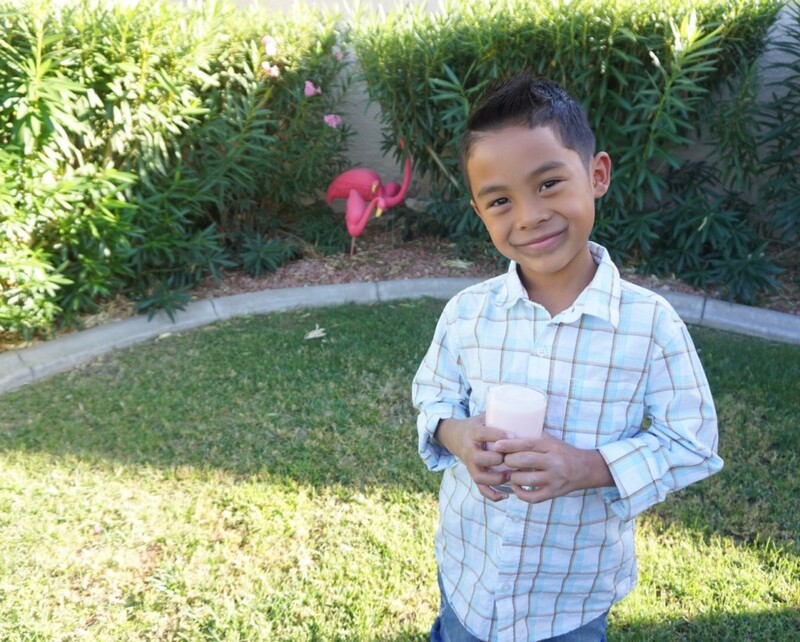 One Response to "Nutty Banana Strawberry Smoothie |Better For You Breakfast using Juicy Juice"
What adorable photos! SO glad you liked the smoothie!